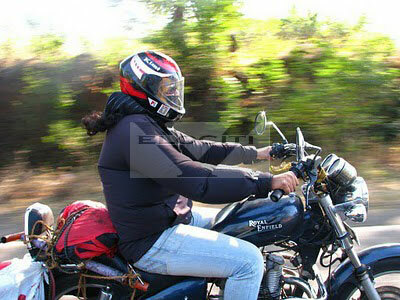 "Indian Women Riders & Women Power"
My name is Sheetal Iyer. I live in Hyderabad. The passion for riding motorcycles got into me when I got my hands on a pal’s PULSAR 150cc, at the age of 16. From then till date, I’ve ridden a Bajaj Avenger, a Yamaha R15, Pulsar150/200/220, Shogun, Yamaha RX100 and RX125 and Royal Enfields. 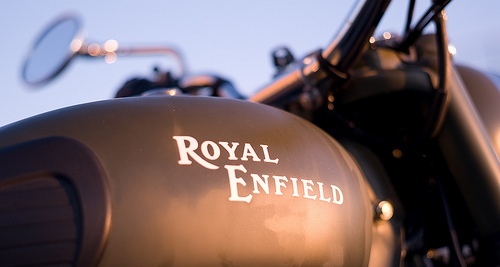 The Bike I plan to get myself in the next one year is a Royal Enfield Classic 500. My Dream Bike which I plan to own in the future is a Harley Davidson Sportster883 or Harley Davidson V-rod Muscle. I joined a club called the “highway nawabs” back in 2007. The members of group have been my mentors since then. They are the people who have inspired me to upgrade myself from bikes like pulsars to Royal Enfields. And today, I feel proud to be riding with them. The feeling of riding a motorcycle is very “god-like” and Incredible. As a female rider, riding gives me a sense of individuality, self-pride and freedom. In more than one way, it gives me the ability to stand-out in the crowd and that is something that I have always intended to do- TO BE DIFFERENT. As far as the clothing goes, riding is not rocket science but it neither is a child-play. Riding with the appropriate gears like hand gloves, a good-fit helmet, a well-fitted and protective jacket, knee and elbow armors and a good pair of boots are the minimum essentials. No motorcycle or no rider is perfect. No matter how many years of riding you have done, yet you can always expect the unexpected. But we all know that you can only reduce your chances of falling because of your experiences and the ability to anticipate danger. Well, I’ve had a couple of minor accidents but still the learning continues and I await to have my share of experiences.